With the APX 1000, you pay for only the functionality you need at the level you can afford without giving up the exceptional quality and reliability you expect from APX. 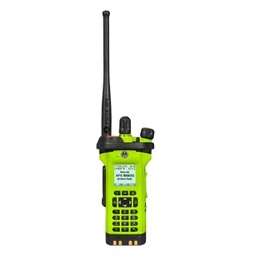 Public safety, utilities, and government service users now have a P25 radio that can stand up to the toughest tasks while keeping them connected to surrounding agencies and first responders. 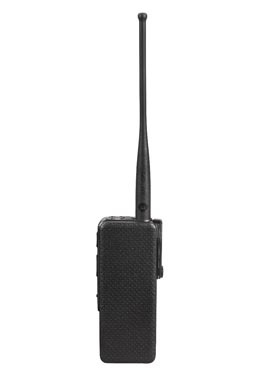 The APX 3000 was designed for covert operations by removing traditional elements: the keypad, display, speaker and microphone to create a slim, compact radio that operates via accessories. So if the connection with the accessory is ever lost, the radio's communications won't compromise the mission. To further minimize discovery, we downplayed lights and eliminated the audio output to make sure officers are never given away. The APX 4000 delivers all the benefits of P25 technology in the smallest P25 Phase 2 portable in the industry. Easy to use, tough as nails, a hard value to beat, it connects public works, utilities and rural public safety users to first responders for fast, interoperable communications. Durable enough to withstand dust, heat, shock and submersion, the APX 4000 is IP67 and MIL-STD certified. It's packed with key features to help keep you safe, like mission-critical wireless, 2-microphone noise suppression, GPS outdoor location and AES encryption. And it's designed with simpler controls and a large multifunction knob for ease of use. Durable and compact, APX 4000XE is designed and built to withstand even the toughest environments. With its enhanced ergonomics, large control knobs and emergency button, the APX 4000XE is ideal for those everyday tough jobs. Rugged MIL specs, Intrinsic Safety certification and optional color housings, it__s the portable performer you can rely on. Delivering outstanding performance in a lightweight form factor without sacrificing the features you need most. The APX 6000 is the next generation of ruggedly reliable performers that gives you the advanced features such as Mission Critical Wireless and GPS location tracking in the smallest, P25 Phase 2 TDMA-capable radio available. Whether you're responding to a call or racing to a fire, the APX 6000 puts you in greater control of your safety, response time and technology investment. 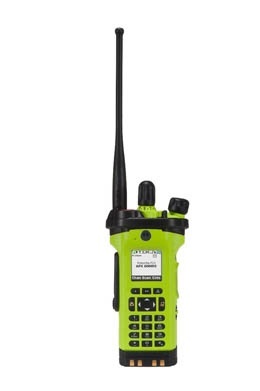 Designed with extreme ergonomics and advanced features in a single-band, rugged form factor, the APX 6000XE is the ideal communication solution for first responders working in extreme environments. Its exaggerated controls make the radio easy to use while wearing gloves, and the extreme audio profile allows firefighters to be heard and clearly understood in high noise environments. Offered in three models, departments now have the flexibility to equip firefighters and EMS users with advanced features like Front Panel Programming (FPP), text messaging and GPS location tracking. With 4 RF bands and multi-mode system access, the APX 8000 knows no limits when it comes to interoperability. Whether it's loud or windy, the Adaptive Audio Engine and ultra-loud speaker bring clarity into every conversation. With Wi-Fi access, the APX 8000 can quickly receive new codeplugs, firmware and software features in order to redeploy the radio fleet with ease as users keep talking without interruption. Certified to the stringent Div1 HazLoc standards, the APX 8000H is designed for use in areas where there are routinely dangerous concentrations of flammable gases, vapors, liquids or combustible dust. The APX 8000H has an adaptive audio engine that provides the provides the loudest, clearest audio at any volume, in any environment. 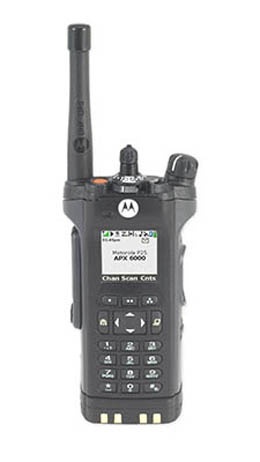 As Motorola's flagship radio for fire and rescue, the APX 8000HXE is designed for the most hazardous conditions. Because the APX 8000HXE is certified to Div 1 HazLoc standards, you can be confident entering areas where unknown chemicals and gases add to an already dangerous situation. The APX 8000XE is redefining mission critical communications by delivering an ultra-durable radio that combines unlimited interoperability, loud audio and secure WiFi connectivity. A complete portfolio of ergonomically advanced, ultra-rugged radios and accessories that is safe, easy and efficient to use.